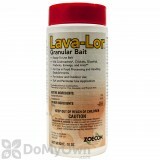 Lava-Lor Granular Bait is a ready-to-use formulation for effective control of cockroaches, crickets, ants and other listed insects. Featuring dual active ingredients, this solution achieves effective knock down through multiple modes of action. 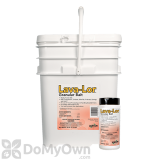 Lava-Lor Granular Bait can be used in a bait stations as well as in a shaker or spreader to reach hard-to-treat cracks and cervices. Up to 4 to 6 oz. of bait per 1,000 sq. ft.
Homes, Apartment Buildings, Stores, Restaurants, Warehouses, Government Offices, Public Buildings and Institutions, and Research Facilities. Apply bait only in locations inaccessible to children and pets, such as in cracks and crevices, or in tamper-resistant bait stations. Do not apply to animals. Do not treat portions of buildings where animals can feed on bait. Apply up to 0.5 oz per crack, crevice, void, or bait station up to 4 to 6 oz of bait per 1,000 sq ft. For other surfaces inaccessible to children and pets, apply bait lightly to floors near baseboards, in closets, under sinks, refrigerators and other appliances, vending machines, drop ceilings, wall voids, pipe chases, electrical conduits, around drains, elevator pits, around and inside garbage cans and in other areas where listed insects or their signs are found. Use approximately 4 to 6 ounces of bait per 1,000 sq ft of space and scatter lightly so that bait is barely visible. Bait may be broadcast in unfinished attics, basements and crawlspaces. Replace bait as it is consumed. Restaurants (food areas), Poultry Packing, Red Meat Packing and Food Processing Plants, including Plants that are Federally Inspected, as well as Food Processing Areas of Stores, Warehouses, Government Offices, Public Buildings and Institutions. Only apply bait in cracks, crevices and other inaccessible areas, or in tamper-resistant bait stations, or on paper, pasteboard, or other material that will permit removal. Locate these bait stations on window sills, on floors near walls, beams, around doors and other entry points, support structures, walkways, garbage chutes/bins, refuse containers in storage areas and other areas where insects have been observed. Maintain strict account of location and number of bait stations. Do not apply bait to any surface where food is stored, prepared, or served. Do not apply bait in edible product areas until operations have ceased for the day. Remove all bait stations from the edible products areas before resuming operations. Do not store Lava-Lor Granular Bait in or around such processing plants. 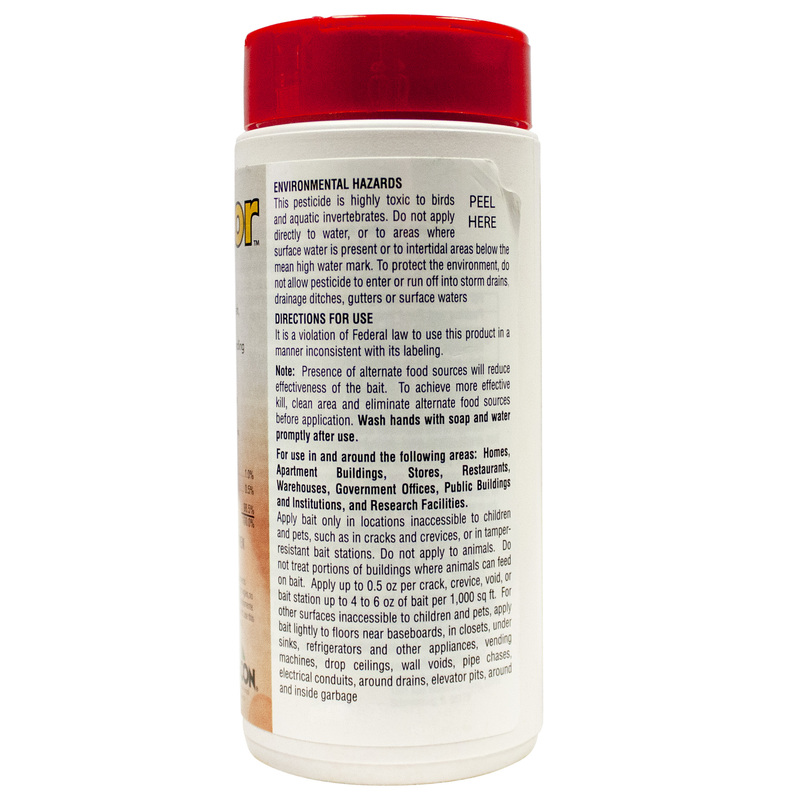 Apply bait evenly in a band 2 to 3 feet wide around foundations, patios, driveways or sidewalks at the rate of 4 to 6 oz per 1,000 sq ft of infested area, taking care to treat any cracks or crevices. Also treat beneath concrete drain splashpans. Use a shaker container or mechanical spreader to apply bait evenly over the infested area at a rate of 4 to 6 oz per 1,000 square feet or 10-15 lbs per acre. Do not “water-in” the bait. For best results with mole crickets, irrigate the treatment area prior to applying bait, and make bait applications late in the day. Mole crickets come up to the surface to feed after dusk. Apply bait around manhole covers and on ledges inside sewers at a rate of 1 oz per 100 square feet. We used the bait both indoors - crack and crevice areas near the back of our restaurant near the kitchen and outdoors along the perimeter. We sprinkled the granules along outside brick work as well in some grassy areas and near dumpsters - basically anywhere we felt roaches or crickets would get inside. A day later we were sweeping up roaches before the restaurant opened. We have been checking and reapplying every few days. Will probably purchase a larger size next time. This is a new product that Zoecon came out with. I talk to the Zoecon rep at the NPMA Convention this year in Florida. I have an apartment complex that has roaches bad in a few apartments. I used this in the main apartment causing all the issues and the other units. Set the granular bait in 2 RTU bait stations, came back in a week and the bait was practically gone, roaches were STILL feeding on it as I opened the stations. I HIGHLY recommend this product for ANY infestation of roaches. Its affordable and IT WORKS!!! 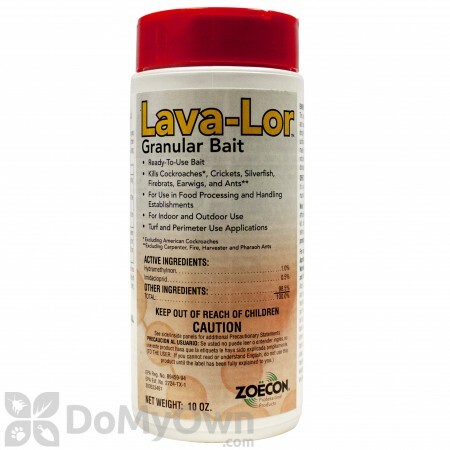 How much standing water can Lava-Lor Granular Bait hold up to? I work in pest control and we use this stuff and no ones knows anything about it. Love to know has much about this product before I dig into really using it. Lava-Lor Granular Bait is a granule insecticide bait and insect growth regulator in one. 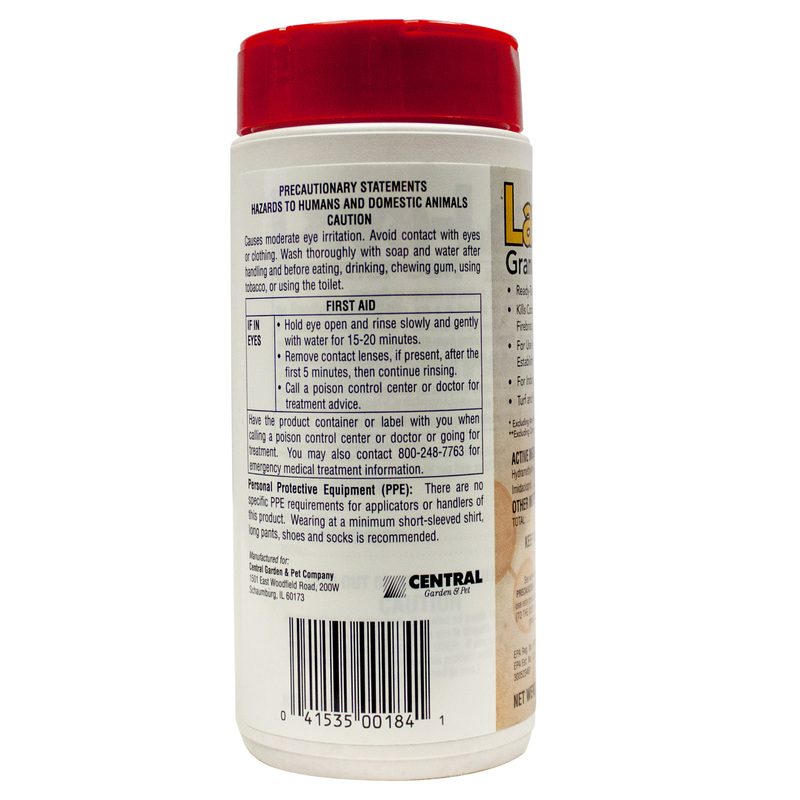 It is not applied to directly to water and is for indoor/outdoor applications in cracks and crevices, as a broadcast outside or in stations as directed on the product label.